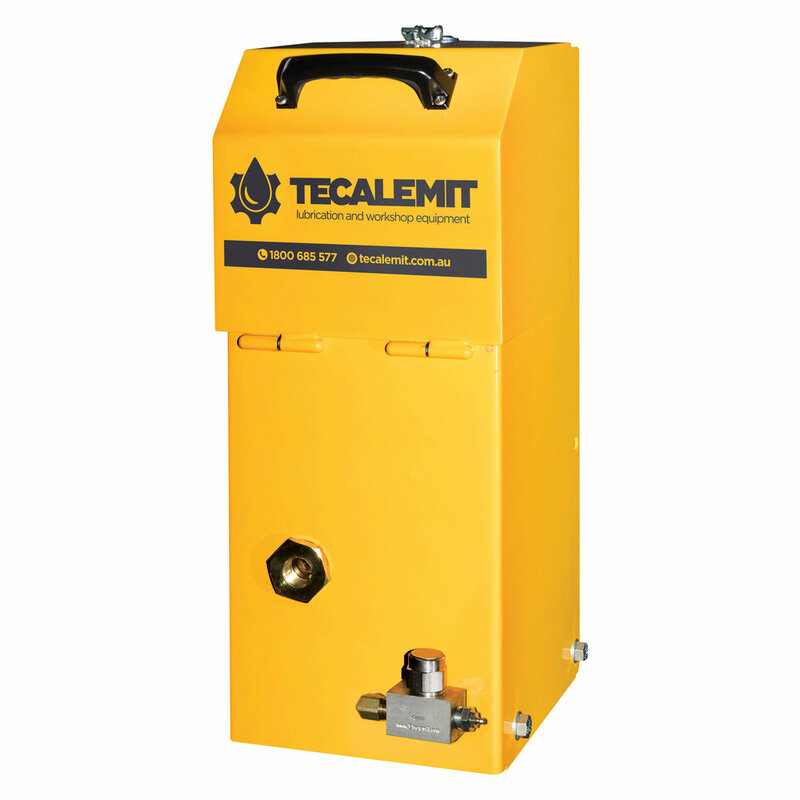 Tecalemit’s pump station is designed and manufactured in-house. The pump station is installed on mobile plant to automatically supply metered grease to various lubrication points via injectors. Mild steel enclosure, shot blasted and powder coated with wall or foot mounted brackets. Oil pressure: 300 - 350psi. Recommended minimum oil flow: 6L/pm. Shipping dimensions: 510mm x 360mm x 700mm.